If you have any questions or want to enquire about dates, use our form to contact Melanie Lewis or see their website for more information. Breakfast includes fresh pastries, daily specials and freshly pressed juices and dinner, seasonal and delicious, is served by a roaring fire. This welcoming B&B is as sociable as you want it to be, thanks to hosts Hywel and Mel. 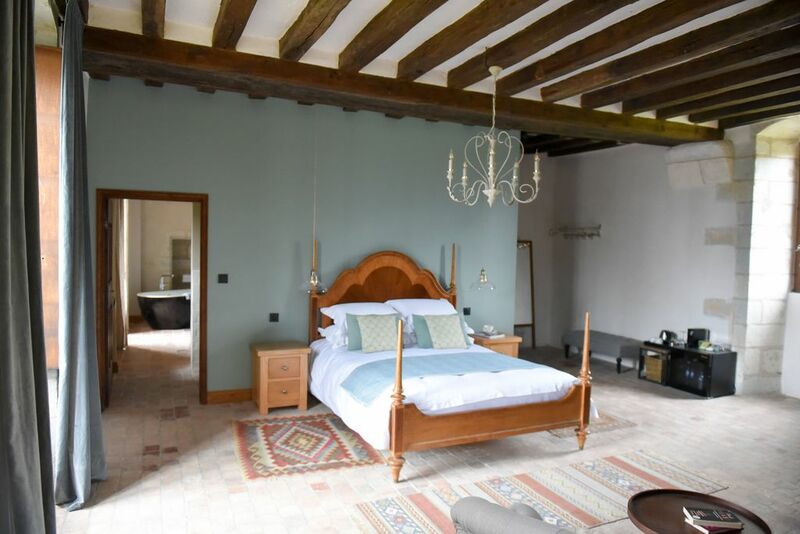 Bedrooms range from large to huge, with rustic-chic bathrooms, stocked larders, and views over vineyards and grounds. Enjoy a summer swim in the natural pool, with its wild garden alongside. The charms of Saumur are 33km, but it’s a short hop to Chateau de Bois Brinçon. Walk through the forest, and try the wines; or lunch at the Le Petit Blaison. Back home are books, board games, and sofas by the fire. Singles rates: €90-€110. Extra child's bed available for Le Roi, €30. We spent a night here en route to the south of France. We had a lovely evening with dinner in the Manoir. It was excellent and we loved our short stay. We will come back and stay longer. The room was so comfortable with a quality mattress and the bathroom; well - simply stunning. We would heartily recommend the Manoir. Mel and Hywel are excellent hosts. This would be a very pleasant place to stay - I inspected in winter and they offered me delicious homemade biscuits and wonderful coffee in front of a fire that roars all winter long - it would be tempting to stay inside on a winter day and work or read. The countryside around the house is interesting, stone walls, vineyards and pretty villages - all very tempting to explore either by foot or on a bicycle. A peaceful stopover between the ferry ports of Normandy and Aquitaine, the estate lies under 1km from Bois Brinçon. 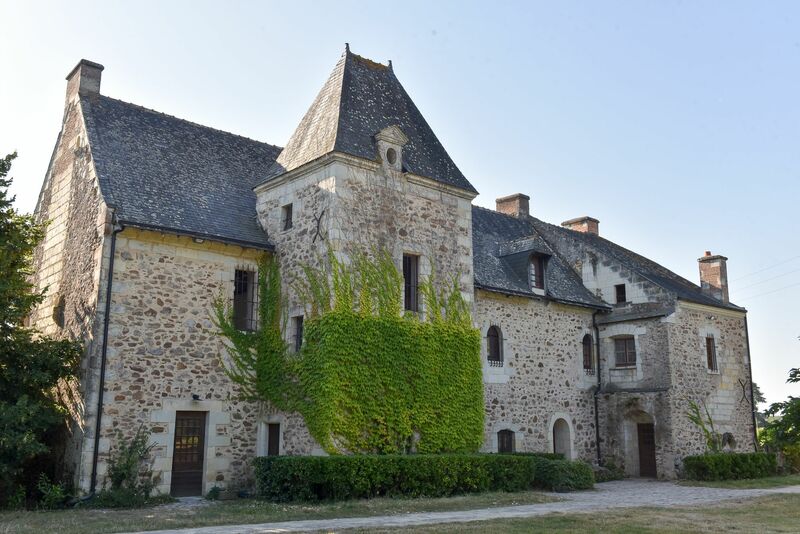 Forest walks and vineyards abound, as do some of the most splendid castles in France; Chateau de Brissac, 7km, has been in the family for over 500 years. Visit lovely Le Thoureil (13km) for a picnic by the river; Angers, 24km, with a 13th-century fortress and lively Old Town; and the bistro and tearoom of St Saturnin-sur-Loire - 12 mins by bike, 6 mins in the car. Explore the peaceful gardens surrounding the Manoir; potter through the oak woods, cool off in the natural swimming pool or take in the vineyard views with a glass of chilled Crémant de Loire on the poolside deck. The Loire Valley vineyards are on your doorstep. Take a stroll over to our friendly neighbours at Château de Bois Brinçon, taste their biodynamic vintages and meet their highland cattle. We can recommend several good quality vineyards nearby for tastings. The Manoir is at the heart of the the region's principle walking and cycling routes and the scenery is lovely. Pedal on bike-friendly routes up-river towards Saumur and explore pretty villages or stroll on marked routes to the village bistro and deli. We are in châteaux country here, with France's tallest in our nearest town at Brissac-Quincé. Take a drive along the Loire to find more, as well as troglodyte houses, riverside bistros and brocantes. Fontevraud Abbey is a must-see for history buffs. Pop into Angers to visit the imposing 9th century château, the cathedral and historic old town. 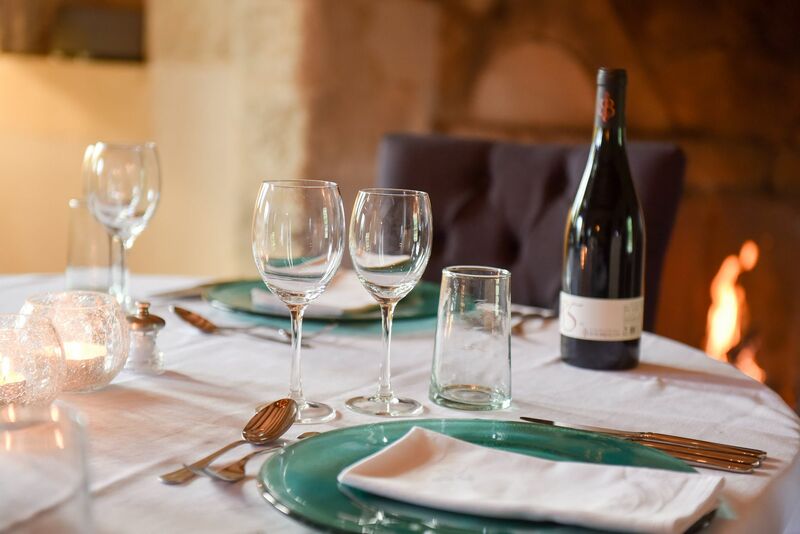 Enjoy the best of Anjou produce at one of the city's fabulous restaurants. They make Cointreau in Angers and you can take a tour and tasting at the distillery. Visit Anger's showcase of all things horticultural, botanical and ecological at the fantastic Terra Botanica park. Explore impressive gardens, meander through the butterfly greenhouses, learn about Anjou's botanical heritage - there is plenty here for all. After retiring from the British army, Hywel and Mel bought and restored the property in 2017. They are passionate about history, the countryside, food and wine, and delight in pleasing their guests. They live with their young family in a second house in the grounds.